2014 New Balance runDisney Shoes Revealed! Today was a big day for runDisney enthusiasts. 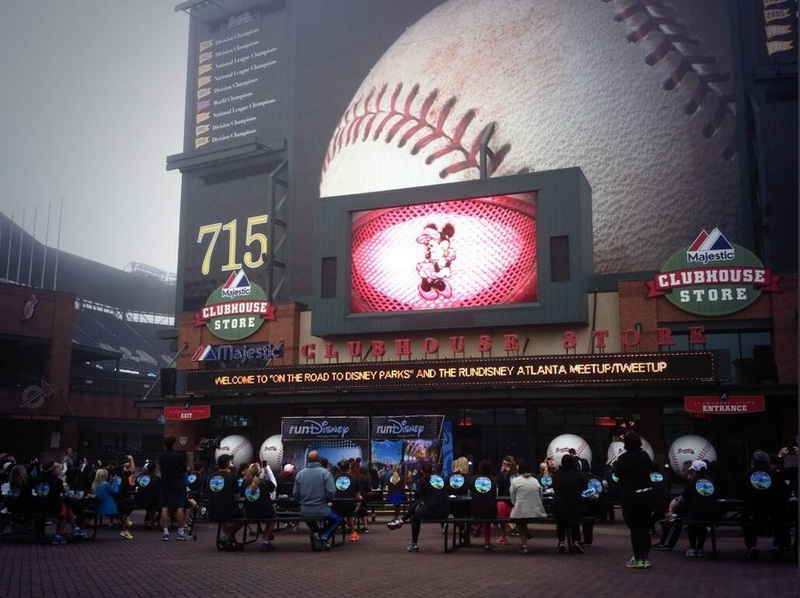 The first ever On the Road to Disney Meetup was held in Atlanta this morning. As usual, Social Media made it very easy to follow along with those who were there for the meetup and to hear all of the big announcements, particularly on Twitter with the use of the #OntheRoadtoDisneyParks hashtag. The biggest announcement at the meetup this morning was the reveal of details about the new 2014 New Balance runDisney shoes. Just like in 2013 when New Balance revealed the first runDisney shoes, the 2014 shoes will only be available for purchase at runDisney events, and will be first revealed and available at Marathon Weekend in January. For more details about the shoes, be sure to check out the runDisney video that was shown at the meetup this morning. With Marathon Weekend being the first runDisney event at which I will be running, I am very excited about the reveal of the new shoes! Preston and I have been extra vigilant about watching our spending in order to ensure that we can have a great time during our upcoming trip to Disney World, and I will definitely be crossing my fingers in hopes of securing a pair of the new shoes for myself at the expo. QOTD: Did you purchase the 2013 version of the New Balance runDisney shoes? Will you make it a priority to purchase a pair in 2014? This entry was posted in Miscellaneous and tagged Disney World marathon weekend, meetup, New Balance, On the Road to Disney, runDisney, social media, Twitter. Bookmark the permalink. 10 Responses to 2014 New Balance runDisney Shoes Revealed! I have the 2013 shoes, but I’m not excited about pink. Since they’re also stability shoes again, that’s two strikes. I’ll leave them to others. Sorry to hear you aren’t excited about the shoes. I run in stability shoes, so I’m glad to hear that New Balance is using the same shoes model, but of course therein no one shoe that fits everybody. I’ve only been to one runDisney event so haven’t made my way to the exclusive shoe but those look pretty cool!! I’ll be at Princess in February. What was your first runDisney event? And good luck with your Princess training! Wow, talk about branding! Disney sure does know what it’s doing. It would be fun to have race-specific shoes to train and race in. Disney definitely knows how to sell their products! Since I was fit for shoes back in September, I’m not sure that I would train or run a race in these shoes, but having them to wear as I celebrate my accomplishment would certainly be fun! Has anyone heard if the 2013 model will be available next year in addition to the new model? Particularly at the Anaheim expo in January? runDisney said that the last chance to pick up the 2013 shoes was at the Wine and Dine Half Marathon expo.